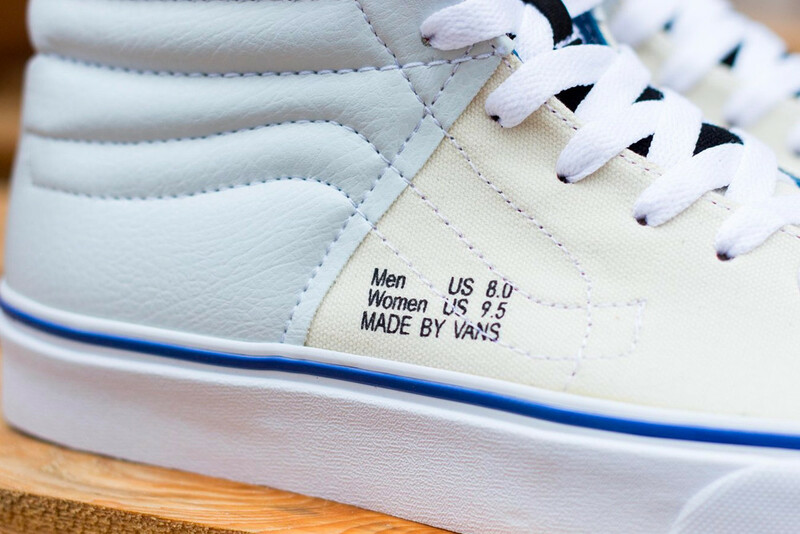 This time around, the reversed upper of the shoe is constructed of off white canvas and white leather emblazoned with its size tag on the lateral sides. 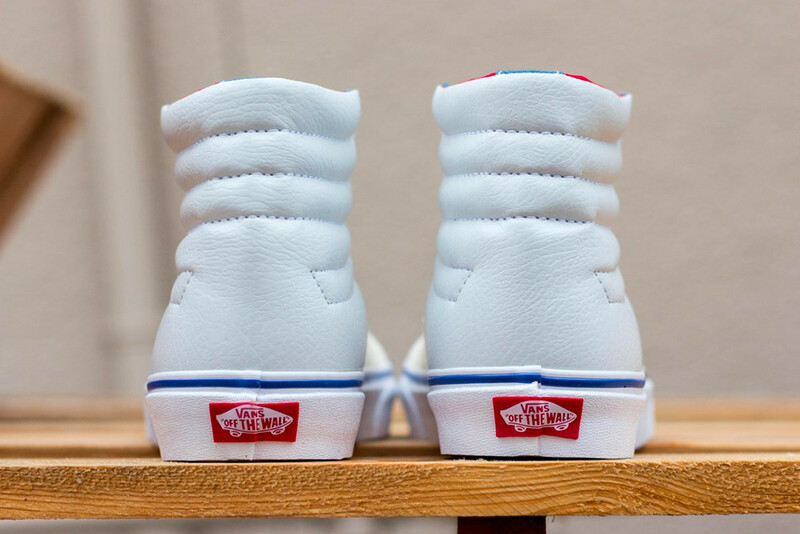 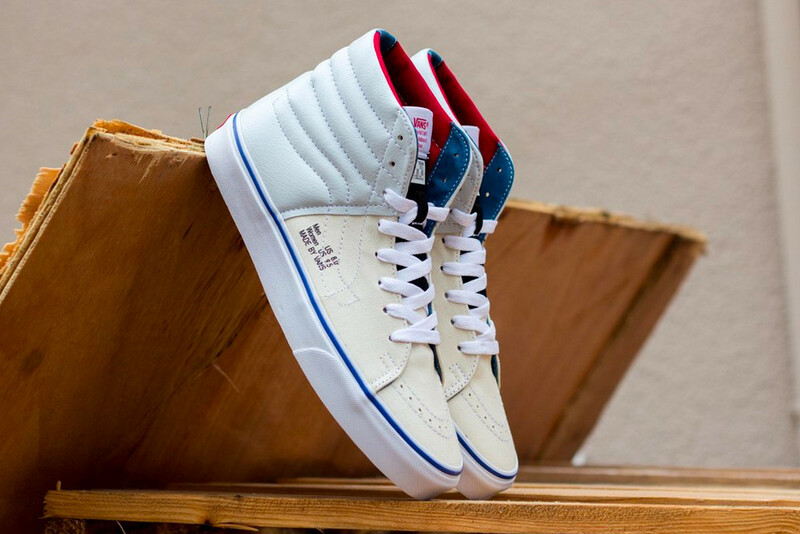 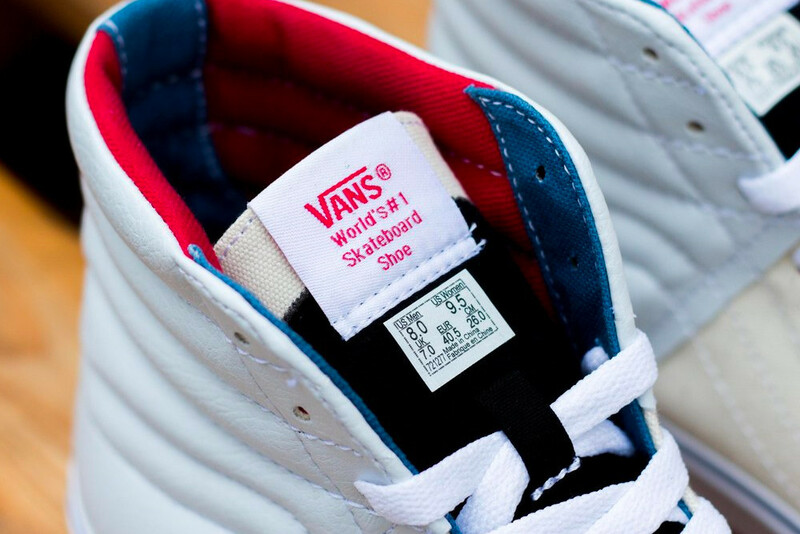 Additional detail comes from the red and blue canvas lining, black nubuck tongue and Vans tongue tags. 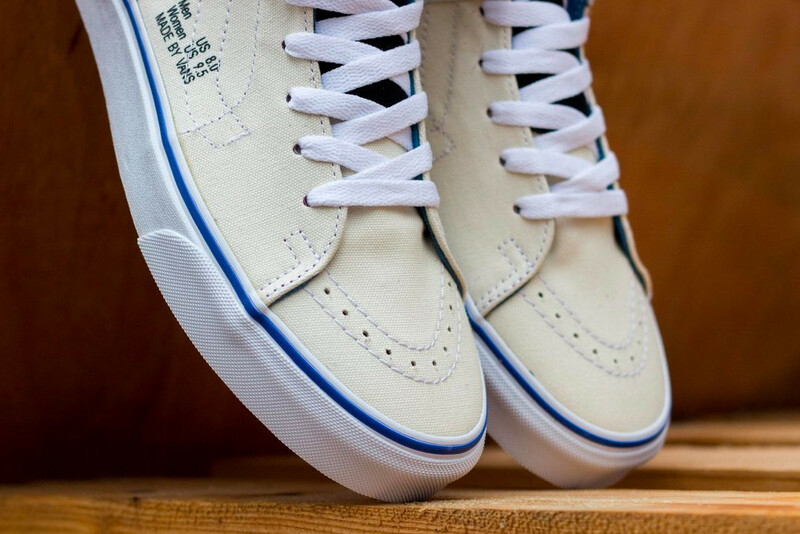 Rounding up the design of the shoe is a blue stripe and heel plate decorated vulcanized white midsole paired with a gum rubber outsole. 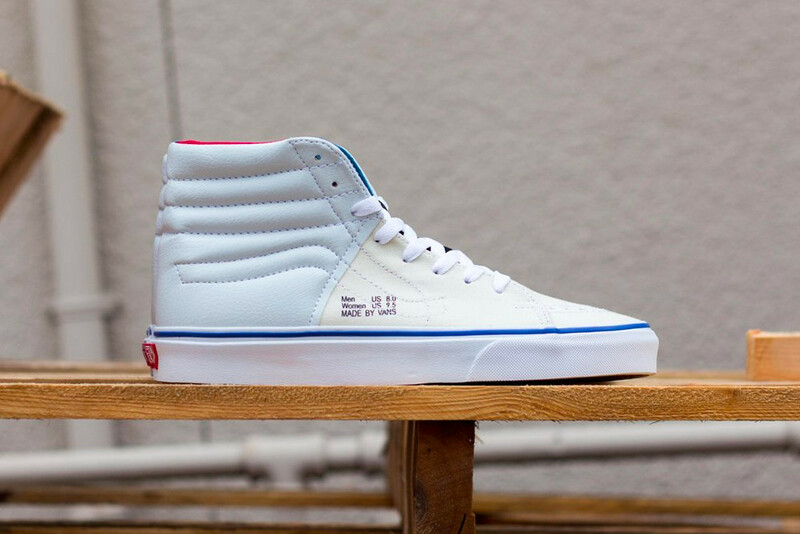 Priced at $70 USD, the Vans Sk8-Hi “Inside Out” is available now at Rock City Kicks.